The map below shows where some of the energy projects and resources are located across the state. Click on the pin to learn more about the project or resource at that site. To learn more about the projects listed on the Alaska Energy Wiki homepage, please continue down the page. 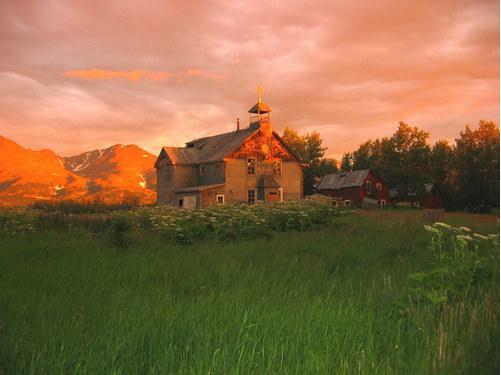 Pilgrim Hot Springs, located near Nome, has great potential as useable geothermal energy. The Alaska Center for Energy and Power (ACEP) has been conducting research at the site on remote sensing techniques for useable geothermal resources to mitigate some of the high costs associated with drilling. To learn more about ACEP's geothermal project and the remote sensing techniques being researched, please click here. 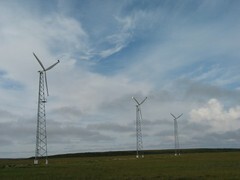 Wind Resources are plentiful across Alaska. These projects range in size, from Fire Island Wind in Anchorage and the Eva Creek outside of Healy which are just over 17 MW and just under 25 MW respectively, to the farms at Selawik (260+ kW), Toksook Bay (300 kW), and the Pillar Mountain wind farm on Kodiak (4.5 MW). 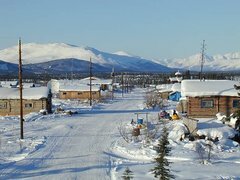 There are many more communities using wind, most of these are spread across western Alaska. To learn more about wind resources please visit the Wind Energy page. Oil has been an important resource for the state for decades. Since the construction of the Trans-Alaska Pipeline from the North Slope to Valdez in the 1970s it has represented a significant portion of the state's income. 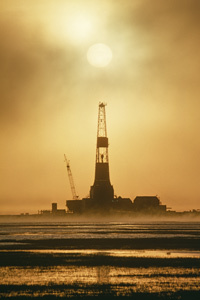 Prudhoe bay is the largest oil field in North America. The same fields that have provided this state with such a valuable resource, have large amounts of natural gas that can be used to create heat and electricity. To learn more about petroleum resources in Alaska, please visit the petroleum page. To learn more about natural gas please click here. Arctic Village, located on the Chandalar river, 290 miles north of Fairbanks, has one of the highest energy costs in the state. All fuel must be flown into the village and stored in bulk fuel tanks. to learn more about the energy costs in arctic village please visit Alaska Industrial Development and Export Authority's (AIDEA) Energy Plan Arctic Village community statistic document. Usibelli Coal mine (UCM), located in Healy, has been active since the 1940s. UCM bought out other coal mines in the Healy area to become the only operational coal mine in the state. UCM has a variety of customers in the interior part state and provides coal to the clean coal power plant in Healy, the power plant at the University of Alaska Fairbanks, and the plants located on the surrounding military bases. 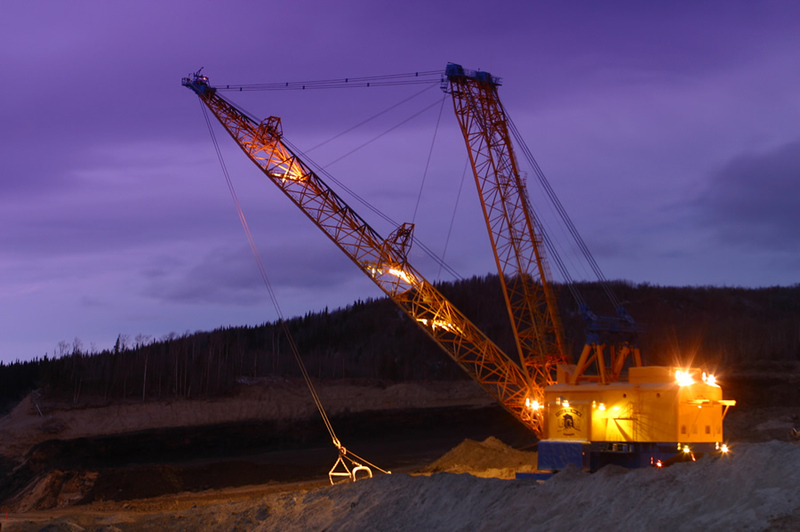 The mine uses a dragline which electrically powered. To level the load on the Golden Valley Electric Association grid, the mine operates a 40 ton flywheel. Learn more about coal in Alaska here. To learn more about Usibelli Coal Mine, please visit http://www.usibelli.com. To visit the wiki's page on UCM's flywheel please click here. there are many hydro projects across the state, most of these are in Southeast and Southcentral Alaska. These projects range form over 100 MW to a few hundred kW. Some of the projects on the railbelt include Bradley Lake (126 MW), Cooper Lake (16MW) and Eklutna (30MW). In Southeast some of the larger projects include Snettisham (78 MW) which provides power to Juneau, Green Lake (18.6 MW) which provides Sitka with power, and Swan Lake (22.4 MW) which provides power to Ketchikan. To learn more about hydropower please visit the Hydroelectric Power Generation page. 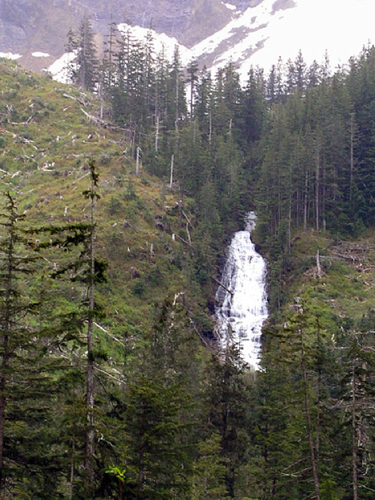 Image: South Fork drainage, Prince of Wales island. 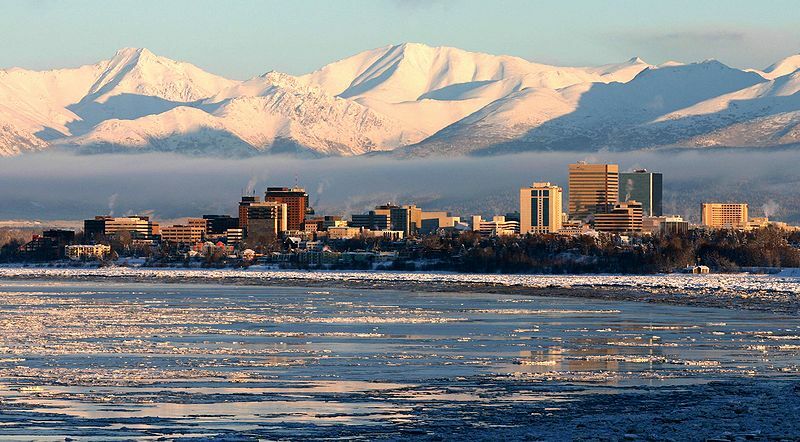 Anchorage is Alaska's largest city, located on the railbelt, it has a wide variety resources including natural gas, conventional hydropower, and wind. With its highly developed infrastructure and ready access to cheap resources like natural gas, Anchorage has among the lowest energy costs in the state. 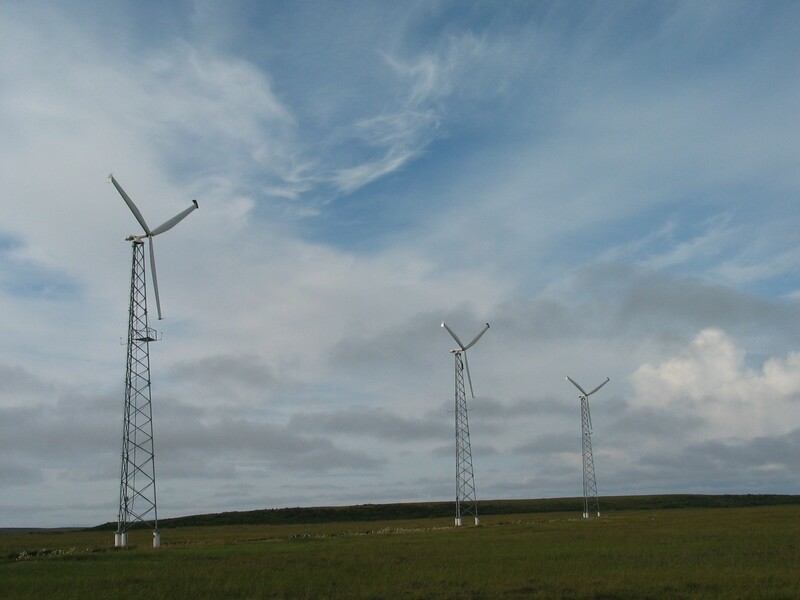 Pillar Mountain wind farm on Kodiak Island has three 1.5 MW turbines, these are integrated with hydro energy and battery storage allowing the system to transition smoothly from one form of power generation to another boosting efficiency. To learn more about Pillar Mountain, please visit the Kodiak Wind project page. Learn more about energy storage here. Visit the Diesel Integration page to learn more about integrating renewables into existing diesel generation plants. Cook Inlet has the second highest tidal range in North America, giving it high potential for hydrokinetic power generation projects. Currently the Ocean Renewable Power Company (ORPC) has a project including permits off Fire Island, near Anchorage, as well as near Nikiski. Although though it's commonly assumed that Alaska cannot use solar energy, there are several solar projects around the state. Most of these solar projects are on residential or privately owned buildings they produce electricity and are used for heating. 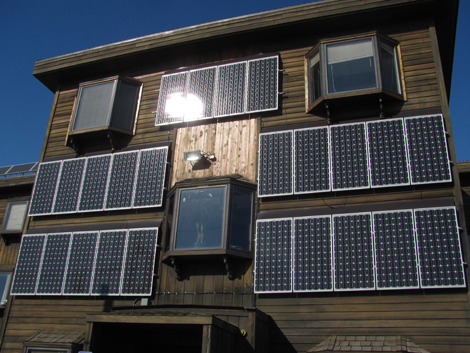 The solar panels pictured provide hot water to residents in a 18 unit apartment complex. 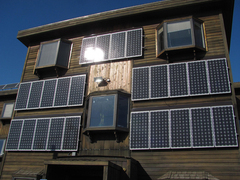 Read about solar energy in Alaska on our Solar Energy page. 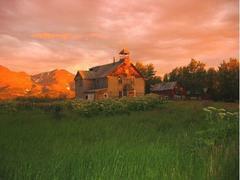 To learn more about solar thermal in Alaska, please visit the Thermal Storage page.